There isn't much to review here, so this will be pretty short. Other than the box, what's seasonal about this candy? Apparently it has three "limited edition" flavors. 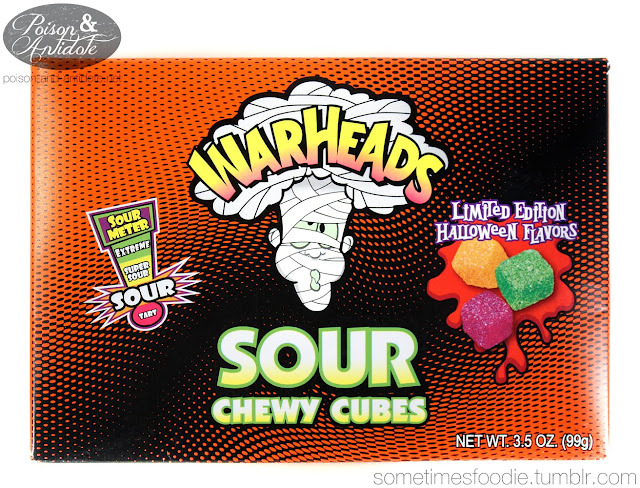 Wait a minute, aren't these all normal WarHead flavors? It seems like all three flavors are already available in the every day version of this candy. What a rip off! 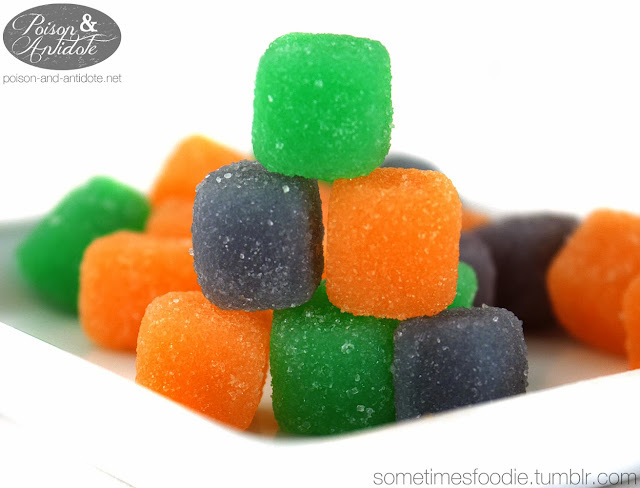 The tiny candy cubes inside were soft, like a fruit pastille, and very generically flavored. Black Cherry - was artificial, but it was my favorite of the three. It reminded me of the black cherry Blow Pops that turn your mouth purple. Green Apple - was pretty chemical-like and generic. Orange - was just like a normal orange slice gummy/jelly. The kicker? These weren't even sour! I know that these rate really low on the WarHeads sour scale, but even sour patch kids have these beat. Heck, a Sweet-Tart is tangier!